Fringilla nivalis Linnaeus 1766, Switzerland. 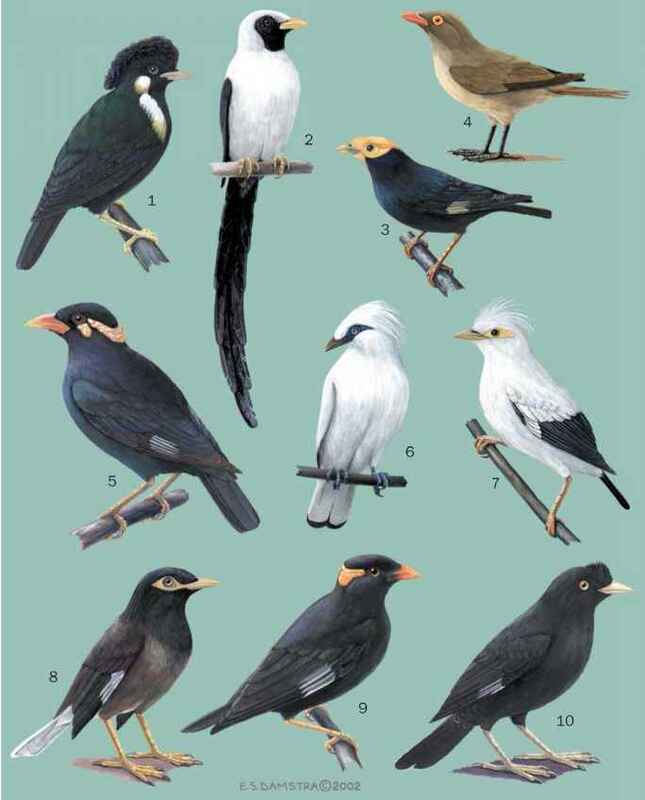 Eight subspecies, reflecting the extensive but discontinuous distribution of a bird that is restricted to high mountain areas. English: White-winged snow finch; French: Niverolle des nieges; German: Schneefink; Spanish: Gorrión Alpino. 6.7-6.9 in (17-17.5 cm); 1.0-1.9 oz (28-54 g). A large, plump-ish finch-like bird with a blue-gray head and brownish body, showing a lot of white in flight, particularly in display. The sexes are similar, the female paler with less white on the wings. A high altitude species that occur on mountains over 6,600 ft (2,000 m), remaining at high altitudes throughout the year. A bird of barren rocky ground and alps from 6,600-11,500 ft (2,000-3,500 m), frequently occurring near buildings where these occur within its range. Sociable, forming nomadic groups and even large flocks outside the breeding season. Spends most of its time on the ground where it hops inconspicuously with the wings folded. Mainly granivorous in the winter, but takes invertebrates at other times. Feeds on scraps around habitations, particularly at ski resorts. The young are fed exclusively on animal food. Normally in loose colonies of up to five to six pairs. Nests in a rock crevice or hole in building, filling the cavity with grass and moss lined with feathers. Two clutches of three to four eggs are laid, incubation 13-14 days, fledging 20-21 days. Young are fed by both adults. A common, even locally abundant bird that has probably benefited through scraps provided at winter resorts.